It's here. It's finally here. The Stingray has arrived! 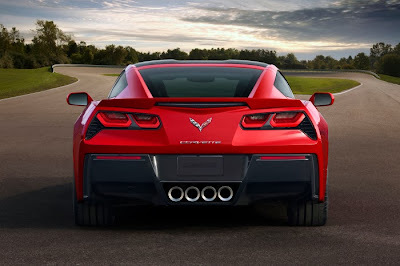 Uftring Chevrolet will be unveiling the brand new 2014 Chevrolet Corvette Stingray on Saturday, October 26, 2013 at Uftring Chevrolet in Washington, Illinois! The incredibly popular re-designed 2014 Corvette Stingray is the newest Corvette model since it was first introduced to the world back in 1953. It has made history with a completely redesigned exterior and interior, and the 2014 Vette unveiling is going to be one heck of a party. Enjoy brats and refreshments and see for yourself how unbelievable this car really is. The Stingray is arguably the greatest Corvette ever built. Its features will literally blow you away, and there truly is no other car like it. You can look at photos all you want, but this new beauty deserves a trip to Uftring Chevrolet to see for yourself. Stop by Uftring Chevrolet in Washington on October 26 for the big unveiling of the car you've been dreaming of! Click here to view our Corvette inventory now. October is Car Care Month!